President Nixon’s new economic policy of August 1971, aggravated by the oil problem since October 1973 caused chaos and uncertainty in the international trade and currency system. There were fears of another 1930s style depression. In addition, a world food shortage and strident claims by developing countries for perpetual sovereignty over resources added another set of difficulties. 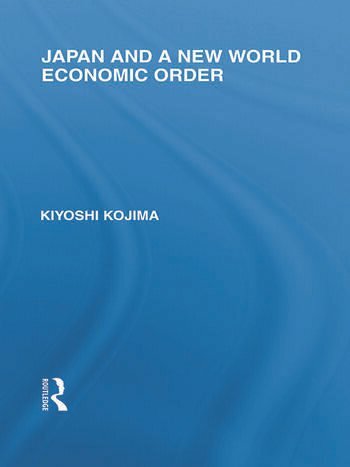 This volume, written from Japan’s standpoint, suggests a new direction for the world and regional economic order. The book tackles two major issues in international economics: Firstly, traditional international trade theory aims only at static maximization in the use of world human and material resources, but, the author stresses more attention should be paid to such dynamic or developmental elements as population growth, immigration, natural resource development, improvement in transfer of technology, economies of scale, direct foreign investment and economic integration in order to create development centres or sectors in the world economy. Secondly, the author discusses how to combine a global and regional approach to economic integration.